Andy is a freelance journalist and yoga instructor based in Sydney. She is the creator behind surf/yoga lifestyle website No Shoes No Worries. The majority of her life has been spent shoeless, having grown up on a small island in the Caribbean, set to the perpetual rhythm of island time. She's traveled and lived in many places, including France and the US, before settling on the world's biggest beach: Australia. With a Bachelor in Business and Masters in Journalism, to this day, she does not believe in the concept of "Winter," resorting instead to wearing bikinis year-round, however inappropriate. 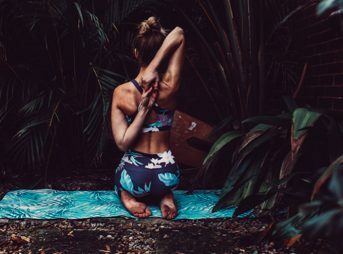 No Shoes No Worries was conceived to bring together the holistic benefits of yoga and surfing, and to share with the world her take on all things beach lifestyle. When she’s not paddling, stretching, writing, or hustling hard building her empire, you'll probably find her in the cracker department of the nearest grocery store.